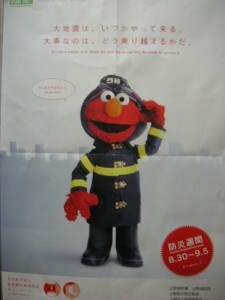 Meet “earthquake safety Elmo.” He will save you from earthquakes in Japan. Or revive you with irritating laughter. We assume that’s what the Japanese above his head says. Here in Berkeley, we get extravagant displays of emergency preparedness instead, ones meant to reassure us that we’re in good hands (even if they’re not fuzzy or red). From 8 a.m. to 12 noon on Friday, expect mock victims, complete with labels and fake injuries, by Wurster and Stanley Halls. 2,500 randomly selected WarnMe subscribers will receive test messages. The campus’ public address system and sirens will go off. Police and fire department officials will be on scene. Madness and mayhem will (ideally) not ensue. Dalyan İztuzu plajı beach Caretta Caretta kaplumbağalar turtles Kaunos Caunos Kral mezarları King Tombs Dalyan Deltası Sazlıklar tekne turu boat tour gün batımı turu moonlight trip 12 adalar turu 12 islands mavi yengeç blue crab çamur banyosu mud baths termal su thermal water sultaniye kaplıcaları june haimoff nehir yuvarlakçay hamam sauna masaj turkish hamam massage carting atv rafting yamaç paraşütü paragliding dalyana ulaşım. Iâ€™d need to verify with you here. Which isnâ€™t something I often do! I take pleasure in reading a post that could make men and women think. In addition, thanks for permitting me to comment!